From the moment we are born and on through our lives touch is an important part of our living. 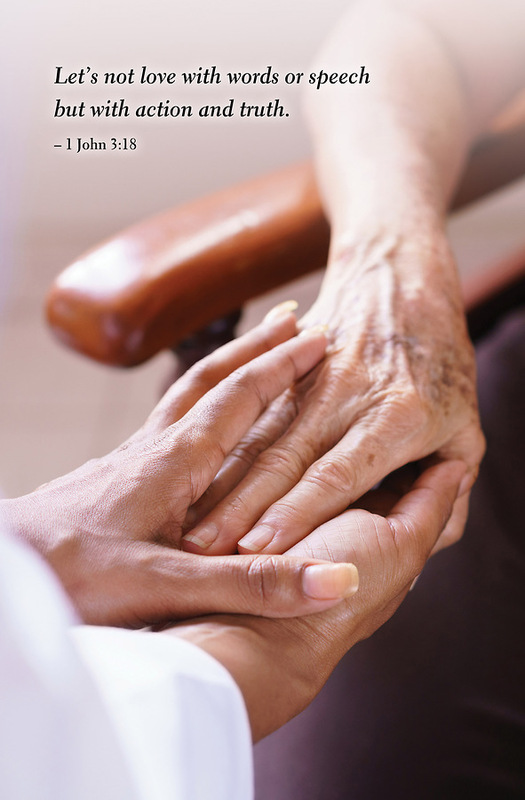 This bulletin with the image of gentle hands connecting visually supports the Scripture that speaks of love as action and truth. It is a reminder for congregations to always be seeking God's guidance as they move from worship to their daily lives. The bulletin can be used at anytime during the year. Bulletin is 8.5" x 11" and unfolded and 8.5" x 5.5" folded.